Atlanta United striker Josef Martinez scored in the 74th minute against Orlando City on Friday to set a Major League Soccer record with his 28th goal of the season. The Venezuela international beat Orlando goalkeeper Joe Bendik with a deft chip from inside the area after collecting a pass and cutting in on his right foot. Martinez had matched the previous record of 27 by scoring on Sunday against Columbus Crew SC, and has now surpassed the mark set by Roy Lassiter in the inaugural MLS season in 1996 and matched by Chris Wondolowski in 2012 and Bradley Wright-Phillips in 2014. "It's a big relief for me," said Martinez on achieving the record. Friday's goal was Martinez's 47th in 46 career regular-season MLS games, extending his MLS-record tally for a player in his first two seasons in the league. 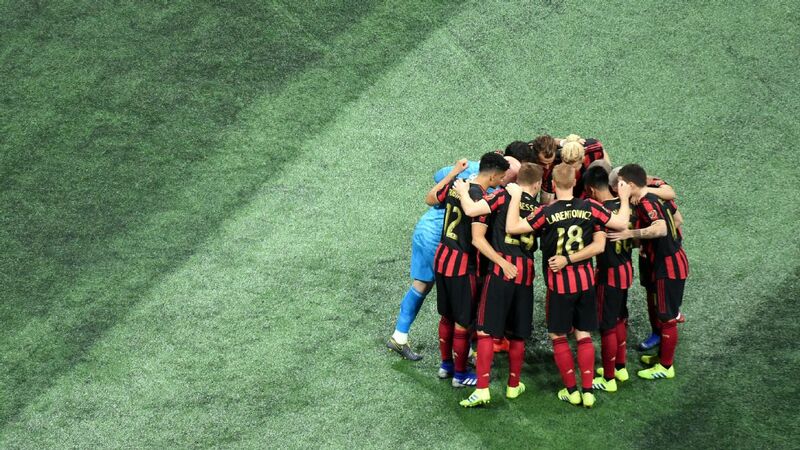 "We knew Josef was going to break the record, it was just a matter of he did it sooner or later," Atlanta United manager Gerardo Martino told reporters. "The good thing is he did it sooner, so now this will calm him down. On top of that he did it with a very nice goal." Martinez, 25, has now scored in nine straight games, matching the league record Diego Valeri set with the Portland Timbers last year. All but one of Martinez's goals have come from inside the 18-yard box, with his strike on Friday against Orlando proving no different, showing his touch inside the area.